I always love the tv show Friends. I read some criticism about the show. 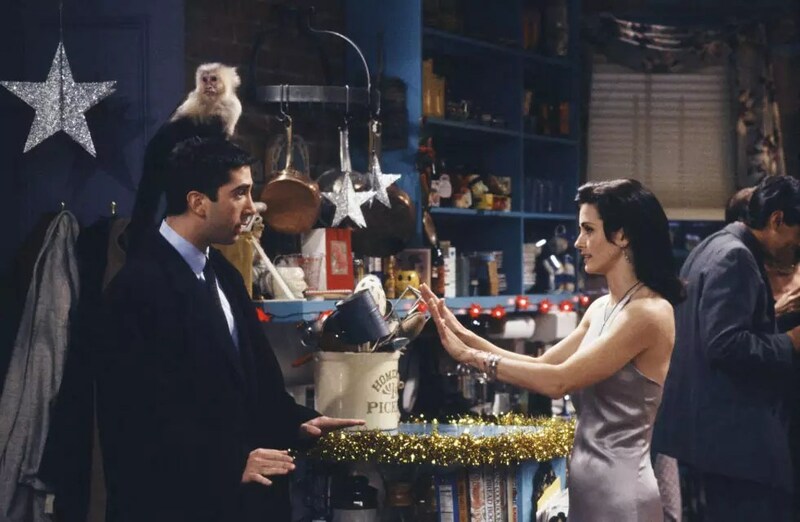 People are complaining about how Monica and Rachel can afford 2 bedroom apartment in West Village which is one of the most expensive neighborhoods in the the town. It is good question but I don’t care about it, I just wanna laugh and have a good time with my favorite TV show. The idea of having that much close friends in a same group is really great. I got my party idea from one of Monica’s. It was black tie party. So I also decide to throw a black tie party, too. Every year so many sparkle dresses pop up all around the fast fashion brands like H&M, Forever 21. I am gonna avoid sequin dress this year. I have something in my mind and also in my ShopStyle list. I would like to suggest you to wear something more elegant this year. Of course I love sparkles, too. You can find my list here in this very fresh new year party dress ideas blog post. One of the best looks of Serena from Gossip Girl. She wore this amazing Zuhair Murad dress in New York Ballet Opening event.